Speedunnodu Movie Review & Rating: Speedunnodu Movie is a remake of the Tamil hit film – Sundarapandian. The film is a romantic comedy about a young man and the girl he is trying to woo for his friend. Bellamkonda Srinivas had a grand entry with 2014’s Alludu Seenu. With a huge star cast and best director in the initial project itself, Bellamkonda proved that he is here to stay. Now after a gap of 2 years he is back with yet another commercial entertainer ‘Speedunnodu’. Co-starring Sonarika Bhadoria, the movie is a remake of Tamil film Sundarapandian. Bhimaneni Srinivas who directed star heroes like Venkatesh and Pawan Kalyan helmed this project under his home banner. Story: Shobhan(Bellamkonda Srinivas) is the son of Ramagiri Village Head Veerabhadrappa(Prakash Raj). Inspite of being a graduate, he whiles away his time with his friends. For him, friends are a priority and can break all odds for them. Giri (Madhunandan) loves Vaasanthi (Sonarika) but fails to impress her. Shobhan comes to Giri’s rescue, However, Vaasanthi falls for Shobhan instead of Giri. Twist in the tale arises when Vaasanthi’s father (Rao Ramesh) decides to get his daughter married to Jagan (Kabir Singh). What follows forms the crux of the story. The way story has been weaved around five friends is pretty good. Probably for the first time, hero’s friends have some powerful roles in a Telugu film. Bellamkonda Srinivas is impressive in his second outing. The way he has carried his role and gives an all round performance is appreciable. He has worked hard on his strengths and will surely be a promising actor in the future. Srinivas Reddy does a decent job in his role. His comedy works out well during the first half. 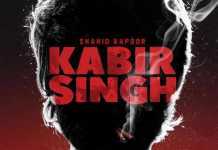 All the teasing and romantic scenes that are showcased during the first half are ok. Kabir Singh underplays the villain’s role well and impresses with his act. The Second half is where the film moves on a fast pace. 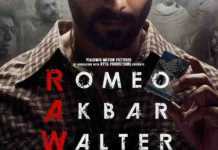 The twist that is showcased during the climax is good and has been handled in an Interesting way. Tamanna’s song is a huge plus during the end and has also been shot quite richly. Comedian Madhu gets a meaty role and does his best. ChaitanyaKrishna and Prakash Raj do their characters as required. As the film is based on friendship, there should be few more scenes which showcase the bond between the close friends. The story does not move at a brisk pace during the first half. There was scope for more comedy as the makers have failed to utilize it.Even though Sonarika looks good on screen, her role and performance should have been better. As the story revolves around her, a little bigger star could have made wonders to the film. Post the interval, the film gets routine with some unnecessary family emotions. 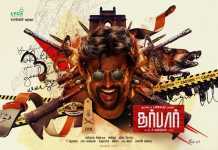 Overall the movie is a complete commercial entertainer for this weekend. Giving few flaws a miss, the movie can be watched in the theaters near you.